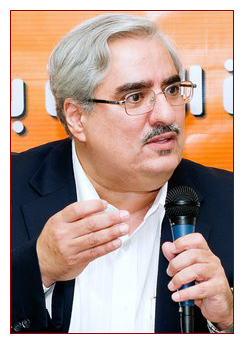 Ebrahim Sharif is a 58-year old Bahraini politician, businessman, husband, father — he spent 4 years and 3 months as a political prisoner in Bahrain’s Jaw Prison from March 2011 – June 2015. He was released on June 19, 2015 and re-arrested on July 12, 2015 after giving a peaceful speech at the Annual Commemoration of the Martyr Hussam Al­Haddad (click here to watch the peaceful speech with english subtitles, click here to read the peaceful speech that led to this re-arrest in English, click here for the speech in Arabic, and here for the 2012 statement released regarding the killing of the16 year old martyr by Bahraini police). He serves as the secretary general of the National Democratic Action Society (also known as Waad), a secular, moderate, and peaceful political opposition group in Bahrain. 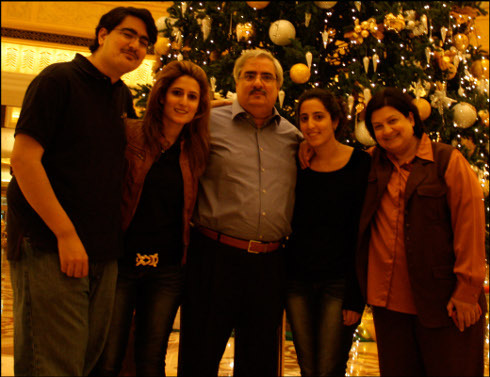 At around 2 AM, on Thursday, March 17, 2011 Ebrahim was arrested from his home by the Bahrain government. His only crime was calling for genuine democratic reforms in Bahrain. He was not allowed to contact his family for over a week, and even then he was only allowed a few seconds to talk on the phone. His lawyer was called upon by military authorities to attend interrogation sessions only. At that time, his family believed that he may be at risk of torture or abuse inside detention, as four political detainees have died in police custody in Bahrain, their bodies showing significant bruising and telltale signs of torture. Ebrahim later reported that he faced continuous beatings, was forced to stand on one leg for long hours, and was psychologically, physically, and verbally abused. Almost 60 torture cases have been documented in the BICI report which was comissioned by the King, however, no reconciliation measures have been taken ever since. Ebrahim’s arrest occurred amidst a massive military-backed security crackdown in the country against pro-democracy protests that began on February 14, 2011. Wa’ad participated in the peaceful protest movement, and along with six other mainstream opposition political societies, called for a dialogue to bring about a genuine constitutional monarchy in Bahrain. After arresting Ebrahim Sharif and the other opposition leaders on March 17 2011, the Bahrain government released this official statement, via the state-owned Bahrain News Agency. On June 22, 2011, he was oficially sentenced to 5 years in prison and in September of 2012 an appeal court upheld his sentence despite determining that the evidence used against him was extracted through torture. Hundreds of other pro-democracy activists and protesters were also incarcerated in Bahrain without access to their families or lawyers. In the past, Ebrahim has tackled a wide range of issues, ranging from political corruption in land dealings, to ideas on how to better improve the social welfare systems of Bahrain. Ebrahim has always emphasized the Arabic identity of Bahrain, and roundly rejects any and all forms of violence and intimidation from all parties, pushing instead for peaceful and moderate reforms. His 2011 arrest has been roundly condemned by international human rights groups and even the United States government. After 4 years and 3 months in prison, Ebrabim was released on a royal pardon, only to be re-arrested 3 weeks later for a peaceful speech. He is being held by the authorities for 30 days (initially 15 days which were further extended) with the charges of inciting hatred and sectarianism and calling for violence against the regime (state-owned media released this statement). We stand behind Ebrahim Sharif and his values and know that he is innocent. We call on the government to release him immediately, along with the hundreds of other political prisoners languishing in Bahraini prison cells. For real time updates on Ebrahim, follow us on Twitter on @freesharif, @ebrahimsharif, and by using the hashtag #FreeSharif.